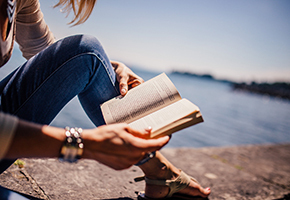 Summer Reading Picks Are Here! 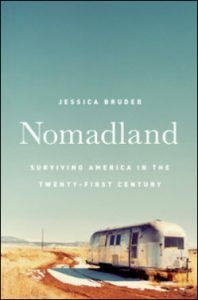 But a conversation at a cookout with an old friend, leaked documents from a rogue environmental inspector, and the activism of a concerned mother raised red flags about lead—a neurotoxin whose irreversible effects fall most heavily on children. Even as circumstantial evidence mounted and protests grew, Dr. Mona knew that the only thing that could stop the lead poisoning was undeniable proof—and that to get it, she’d have to enter the fight of her life. 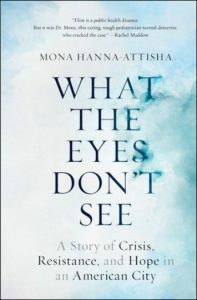 What the Eyes Don’t See is the inspiring story of how Dr. Mona—accompanied by an idiosyncratic team of researchers, parents, friends, and community leaders—proved that Flint’s kids were exposed to lead and then fought her own government and a brutal backlash to expose that truth to the world. 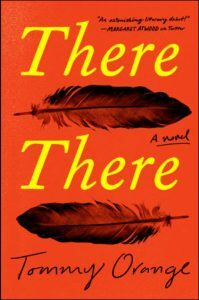 Paced like a scientific thriller, this book shows how misguided austerity policies, the withdrawal of democratic government, and callous bureaucratic indifference placed an entire city at risk. 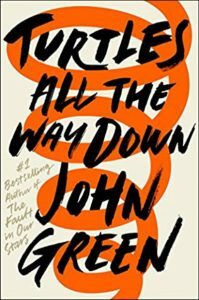 And at the center of the story is Dr. Mona herself—an immigrant, doctor, scientist, and mother whose family’s activist roots inspired her pursuit of justice. 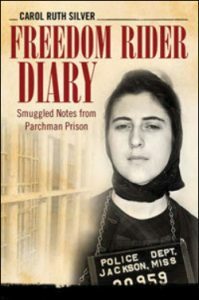 Arrested as a Freedom Rider in June of 1961, Carol Ruth Silver, a twenty-two-year-old recent college graduate originally from Massachusetts, spent the next forty days in Mississippi jail cells, including the Maximum Security Unit at the infamous Parchman Prison Farm. 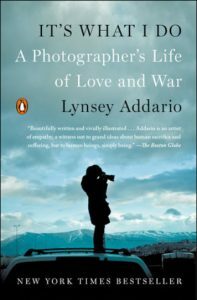 She chronicled the events and her experiences on hidden scraps of paper which amazingly she was able to smuggle out. These raw written scraps she fashioned into a manuscript, which has waited, unread for more than fifty years. Freedom Rider Diary is that account. Freedom Riders were civil rights activists who rode interstate buses into the segregated southern United States in 1961 to test the US Supreme Court rulings outlawing segregation in interstate bus and terminal facilities. Brutality and arrests inflicted on the Riders called national attention to the disregard for federal law and the local violence used to enforce segregation. Police arrested Riders for trespassing, unlawful assembly, and violating state and local Jim Crow laws, along with other alleged offenses, but they often allowed white mobs to attack the Riders without arrest or intervention. 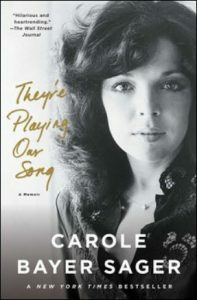 For five decades, Carole Bayer Sager has been among the most admired and successful songwriters at work, responsible for her lyrical contributions to some of the most popular songs in the English language, including “Nobody Does It Better,” “A Groovy Kind of Love,” “Don’t Cry Out Loud,” and the theme from the movie Arthur, “The Best That You Can Do” (about getting caught between the moon and New York City). She has collaborated with (and written for) a dizzying number of stars, including Peter Allen, Ray Charles, Celine Dion, Bob Dylan, Neil Diamond, Clint Eastwood, Aretha Franklin, Whitney Houston, Michael Jackson, Carole King, Melissa Manchester, Reba McEntire, Bette Midler, Dolly Parton, Carly Simon, Frank Sinatra, and Barbra Streisand. The Robert Gohstand “Sense of Place” Scholarship was created to encourage geography majors to develop their writing skills. 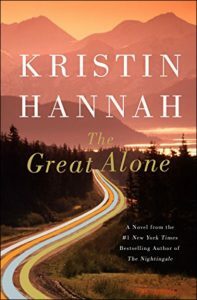 This opportunity emphasizes the use of graceful and evocative writing alone to convey the character of geographic places—an essential part of multi-faceted geographic description and explanation. Join us as we congratulate scholarship winner Edgar Hernandez on April 23, 2019 at 3:30 p.m. in the Robert and Maureen Gohstand Leisure Reading Room / Oviatt Library 2nd Floor, West Wing. Fall 2018 Winning Entry: "Boyle Heights, 2018."